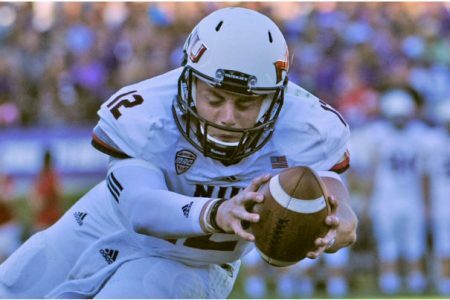 Play On: Northern Illinois Huskies -6.5. They get revenge from last year’s shocking loss to Bowling Green in the championship game. They lost that game because they could not stop the pass, and Bowling Green’s defense was a lot better. Not going to happen this year without Matt Johnson at QB as their passing offense was top 20 last year and 97th this year. Bowling Green’s defense is also not very good ranking 100th vs. the run and 85th vs. the pass. They truly have benefited from a lousy MAC East it’s almost as if they won the league by default. The MAC East has also not played well vs. the MAC West going 3-16 this year including Bowling Green who is 0-3 losing by 12, 17, and 7 and Northern Illinois beat all 3. Northern Illinois 2 losses came against the two teams that could stop the run in Central Michigan and Arkansas. You must know by now that Northern Illinois will run the ball and play mistake free football. Bowling Green has only allowed 4.06 ypc in conference play, but 6.21 ypc in losses and the teams they shut down were teams that really could not move the football on the ground. Northern Illinois also has a threat at QB in Hare who only had 1 interception. In fact Northern Illinois had just 10 turnovers all year. Most of the games Bowling Green was able to beat came by getting turnovers. Hare won’t turn the ball over and Northern Illinois will dominate in the red zone as Bowling Green’s offense is only converting 46% of the time. It just won’t be enough to get it done against a team that has far better recruits and talent on the field. Friday’s NCAAF POD features a total play in the Oregon/Arizona Pac 12 Championship game. I am 29-14 ATS playing totals in my career in college football! I’m also you #1 career profit leader for college football and when you pick up Friday’s POD it features my *Teaser of the Week* – FREE! My Teaser have gone 10-1 in college football!